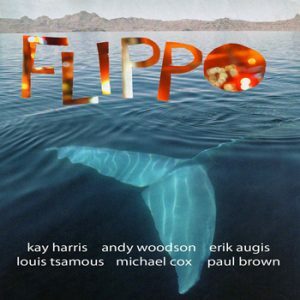 FLIPPO is: Michael Cox, Paul Brown, Erik Augis, Andy Woodson and Louis Tsamous. Funk, Fusion, Soul jazz with a heavy groove. While debate rages over the band’s music, and its members’ troubled love-hate relationship with all things clown-like, one thing is certain: a FLIPPO gig is the only clinically tested remedy for chronic overexposure to modern culture… you will laugh, love, cry, and maybe even learn to believe again.